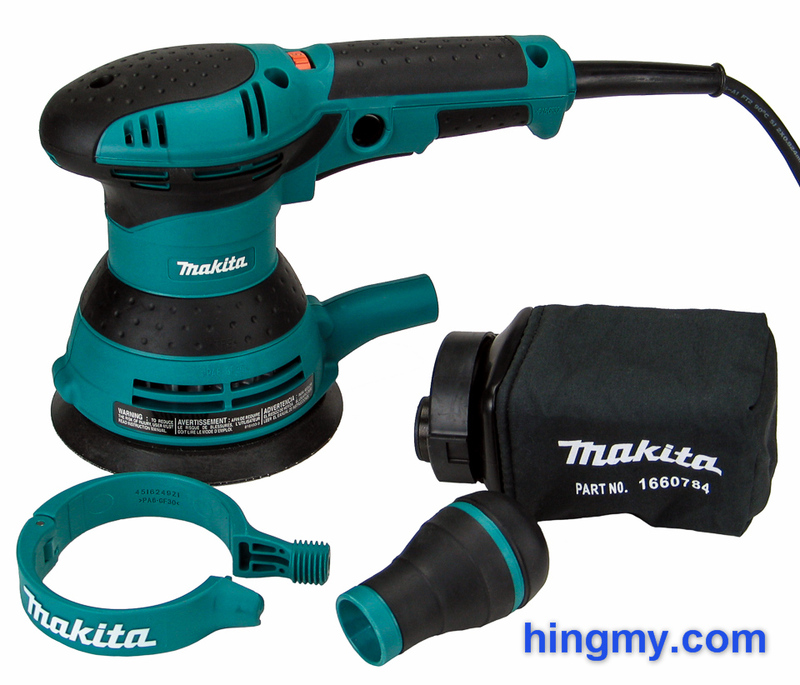 The Makita BO5041K caught my eye the instant I saw it. It looks like a compact random orbit sander with a couple of handles glued on. Since a lot of the work I do in my woodshop involves hours of sanding, I ordered a BO5041K for a test driver. Let's take a look at this novel design and find out if it makes the BO5041K a better compact sander. 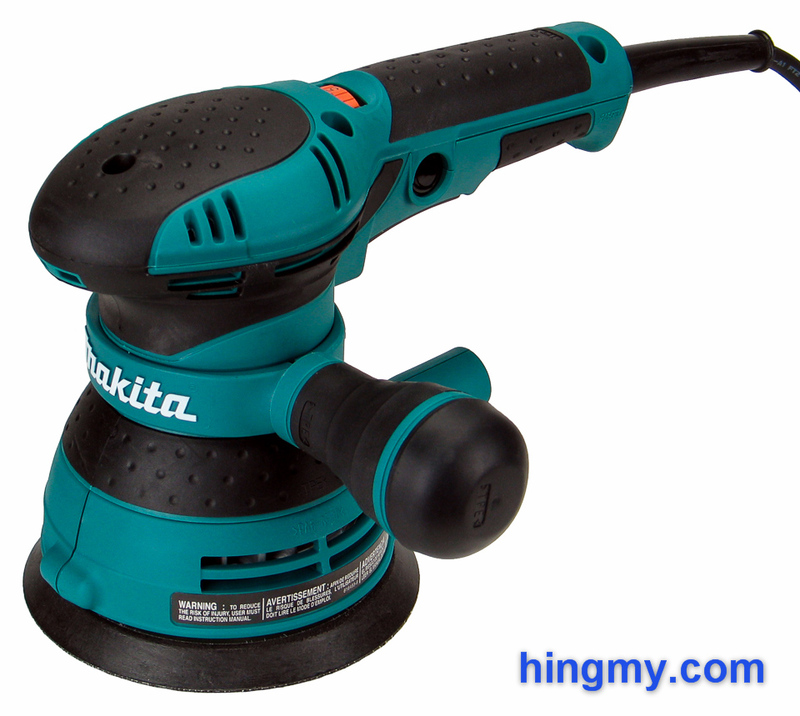 The BO5041K is the top of the line 5 inch random orbit sander from Makita. It blurs the line between the compact design meant to be held from above, and the slender body design with its elongated handle and fore grip. 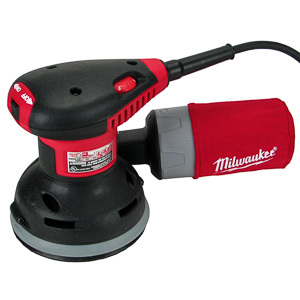 The BO5041K is basically a compact sander with a handle attached to the top. The sander can be held from above like any compact sander, or by the long handle and the fore grip for a polisher-like feel. With the fore grip removed there is enough room to wrap a hand around the body for yet another way to hold the BO5041K. Fit&Finish is excellent in typical Makita tradition. The hard plastic turquoise body with black rubber grip surfaces hides a powerful 3 amp motor. 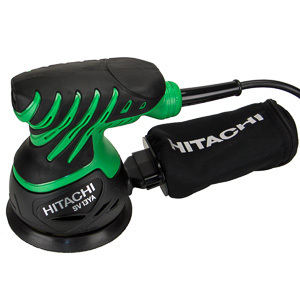 Controlled by a trigger and variable speed dial the motor powers the sander to 4,000-12,000 rpm. While the speed selection is technically continuous, dialing in a specific speed is very hard to do by ear. Particularly in the lower range turning the dial seems to have little effect. Motor power falls off with speed, but remains high enough to fit the matching task. Don't expect this sander to be a rapid stock removal machine at low speeds. 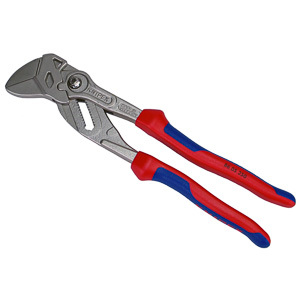 The BO5041K is one of few compact sanders that is trigger activated. This is an important consideration when your work involves a lot of starting and stopping. The trigger makes doing that as simple as can be. A large trigger lock button locks the trigger in the On position in case you don't want to hold the sander by the long handle. The fore grip is a welcome addition to the kit. It consists of a clamping bracket and a knob with threads. Compressing the clamps with the knob secures it in any position around the full circumference of the tool, except right below the trigger. Finding a comfortable position for sanding takes little time. If you do not like the fore grip, it can be removed and stored it in the kit box. The 7ft power cord is not the longest, but it lies flat and coils well. There is no anti-theft protection device on the cord, which is a welcome change. The performance of the internal dust collection is mixed. The fan producing the pressure differential necessary for collecting dust is directly linked to the motor. When the sander is rotating slowly the fan does not produce enough pressure to pick up an adequate amount of dust. If you don't want your sander to leave a trail of dust on work piece, you'll need to run the BO5041K with an external dust collector. At high speeds the picture changes dramatically. The sander picks up most of the dust it produces and ejects it through the dust port. The cloth bag included in the kit is a very poor substitute for an active dust collector. When the bag is clean it performs reasonably well for a few minutes. As soon as it is about a quarter full the bag begins to clog. The resulting back pressure lowers the efficiency of the dust collection system until the sander stops collecting dust altogether. The bag works well, if your job takes only a few seconds to complete. If you go longer the bag will keep dust levels down compared to bare operation, but it won't keep your environment spotless. For true dust-free operation a dust collector and hose are required. As you would expect the efficiency of the BO5041K's dust collection system jumps to near perfect levels. Especially when sanding at slow speeds a dust collector makes a big different. The kit does not include a hose adapter. You'll have to purchase one separately. The relatively small 3/4" dust port is made of hard plastic, which can make a good friction fit between the port and the adapter very tricky. If at all possible try to find an adapter that uses a soft rubber material to cling to the dust port. The sander comes in a double walled, vacuum formed carry case. 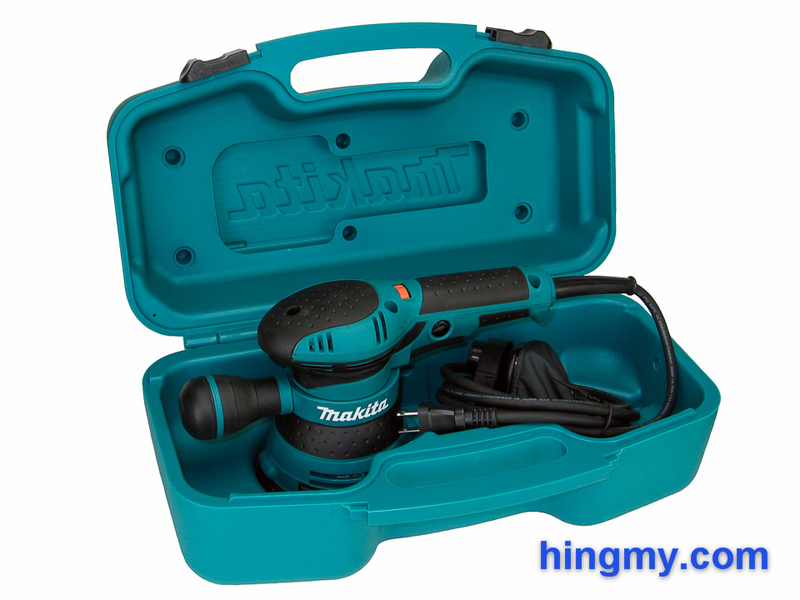 Held in the traditional Makita colors, the case is nearly indestructible on the job site. The worst damage it will take is a scratch here and there. Although not waterproof, it'll keep rain out for quite a while. The sander fits into the case without a lot of hassle. There is plenty of room for sandpaper disks, but they'll have to share a compartment with the tool and the extension cord. The case does little to help with organization. While perfectly usable on its own, the case compares poorly against the new power tool case systems. A contractor using one of these systems can move his entire tool collection from the truck to the project site in one trip. 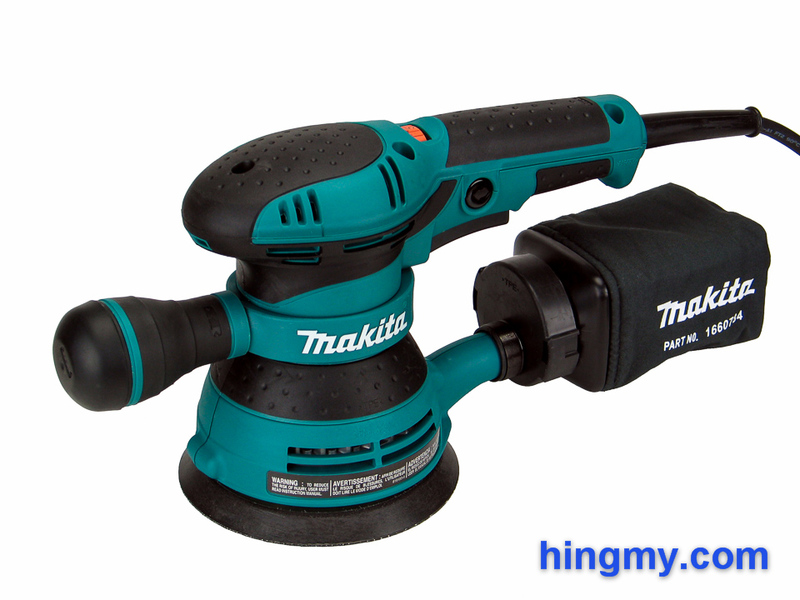 The best you can do with the Makita design is move two tools at a time; one in each hand. Makita offers three different 5" sanders, which all share a similar look and internal components. 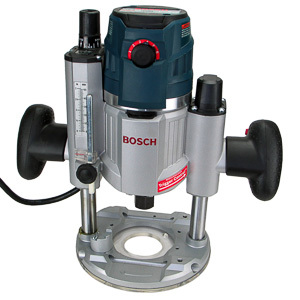 The entry model, the BO5030, is a basic sander with a fixed speed motor. Thanks to the shared internals it performs identical to the larger models configured to run at full speed. If you do not need the variable speed feature, the B5030 represents the bargain in the lineup. The next model up, the BO5031K, adds the missing variable speed feature. The top of the line model, the BO5041K, merely adds the rotating fore grip and the elongated handle. Dust collection performance, noise levels, and longevity are identical across the line. At its core the BO5041K is a compact sander. It performs inline with other, well built compact sanders. The high rotation speed combined with the comparative large 1/8" orbit make the BO5041K a faster sander than most models, but the difference is not very large. Any sander with a larger pad or a bigger motor will outperform the BO5041K. That being said, the BO5041K is still a very good compact sander. At full speed it is a pleasure to use. The long handle and fore grip provide a level of control not seen on other compact sanders. Getting into corners and tight spaces is particularly easy. When held from above the elongated handle does not get into way. In fact it helps to keep the cord out of the way. The design of the handle certainly adds value to the package, but it is not an essential part. 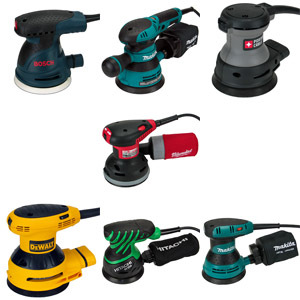 The different ways of holding the sander merely increase the odds that one way might be the best way to complete your project. On the other hand, some might say that the extra bulk on the handle gets in the way and reduces the utility of the sander. Either way the BO5041K is a capable sander that can complete any project. How it feels in your hands is ultimately up to you to determine. Finish quality is beyond critique. The sander produced a surface void of any visible scratches with 220 sandpaper. The large orbit increases the stock removal rate with rough sandpaper at the expense of finish quality. At its heart the BO5041K is a better finish sander than it is a shaping tool. Sanding speed and power drop considerably at slow speeds. The BO5041K is best used for sanding a small area at slow speed, rather than a large one. Unfortunately this issue is compounded by excessive vibrations at slow speed. Two handed operation is necessary and probably the reason why the sander comes with a fore grip in the first place. Seeing your hand move is a sure sign that working with the sander in this mode for a long time is out of the question. The fore grip goes a long way in stabilizing the sander, but there is only so much the operator can do. Your slow speed sanding projects should be measured in minutes, and only a few at that. Any more and you risk injury. At speeds higher than half way on the dial vibrations cease to be an issue. The sander seems to float over the work surface with all of the violent motions constrained to the pad area. Multi-hours sanding session are not a problem. We took the BO5041K up to operating temperature and used it for a few hours. The cooling mechanism is well engineered and should allow for a long service life. Continuous operation in a commercial shop is possible. At full speed the BO5041K produces the same infernal racket all compact sanders seem to produce. On the other end of the speed spectrum the sander is one of the quietest on the market. People can have a conversation in the same room without being bothered by the work going on. Finish carpenters working around noise sensitive customers should take note. Keep in mind that the sander vibrates when run at slow speed. 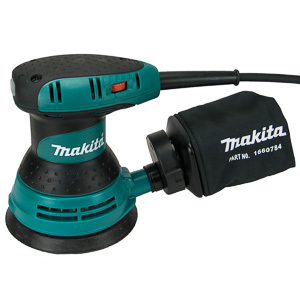 The Makita BO5041K is a novel random orbit sander with a few unique features. 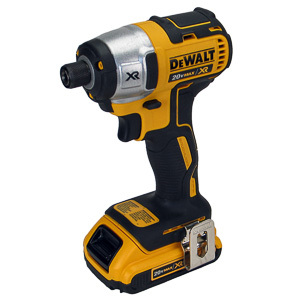 At its core it handles like any compact sander. The elongated handle and rotating fore grip add options that make for more comfortable work in some cases. 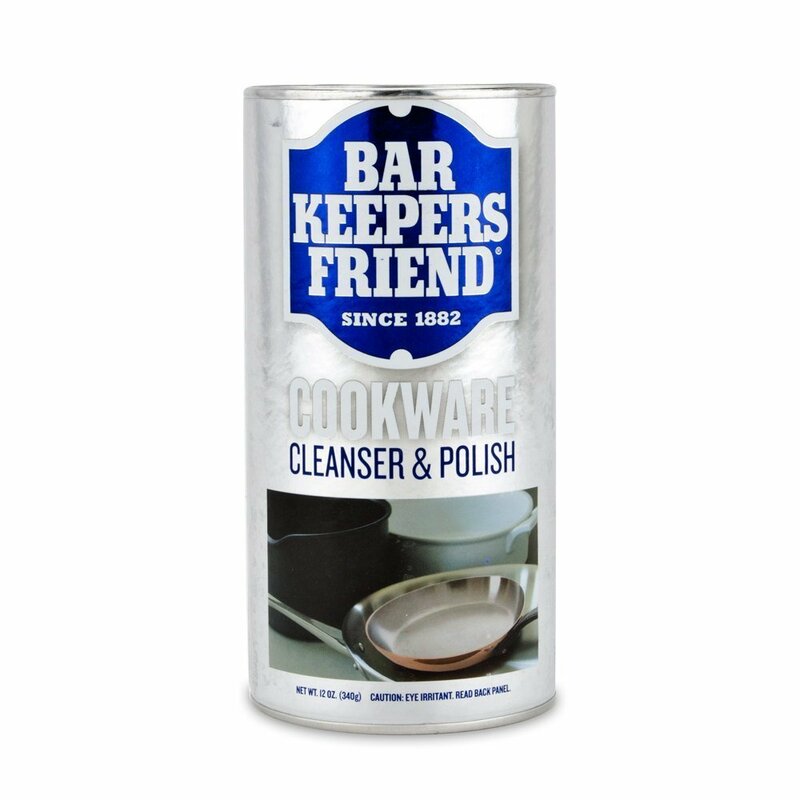 The BO5041K is particularly good at sanding up to walls and getting into tight spaces. The variable speed motor makes the BO5041K a very versatile tool in the workshop. Excessive vibrations at slow speed limit the sander's operational time to a few minutes lest you risk injury. As soon as the speed reaches half way on the dial the vibrations die down and the sander becomes usable on long projects. Overall the BO5041K is a fine sander. The value of the handle and fore grip is ultimately a question of personal taste. We care assure you, however, that the bits that make the BO5041K function are properly engineered and built well. This is a good tool with a few quirks to be aware of.